Treat others in the same way you want to be treated. Help each other.” Some people learn these behaviors in kindergarten; others struggle with them for a lifetime. Consequently, “truly” cooperative groups are often hard to find—both in the classroom and the business community. Nevertheless, people are expected to work together well in many life situations. They are expected to work together on sports teams, in classes, in study groups, in online courses, on juries, on committees, on councils, and on boards. 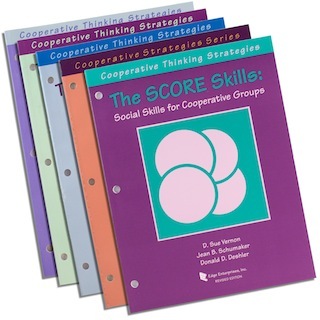 The Cooperative Thinking Strategies Series contains five programs that can be used to teach students the skills needed in effective cooperative groups. They are especially useful programs for classes where students are expected to work in cooperative groups and classes in which different kinds of students are enrolled (e.g., high-achieving students, average-achieving students, low-achieving students, students with disabilities, students from different cultures). These programs enable these students to work together productively and successfully with a minimum of bullying, negative remarks, and disruptions. 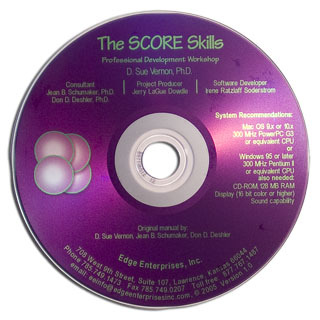 The first program in the series to be taught is the SCORE Skills program, the backbone of the series. 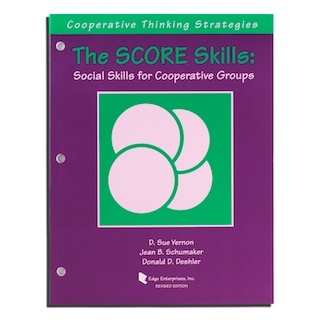 This program can be used to teach students five basic social skills that are necessary for developing positive relationships and for interacting in cooperative groups. This program is considered foundational to the other programs in the series. Each of the other programs deals with one specific type of cooperative group activity. 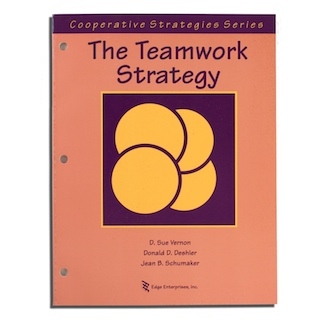 For example, the Teamwork Strategy program can be used to teach students how to complete a group assignment or project. The LEARN Strategy program can be used to teach students how to study together cooperatively to learn new information. 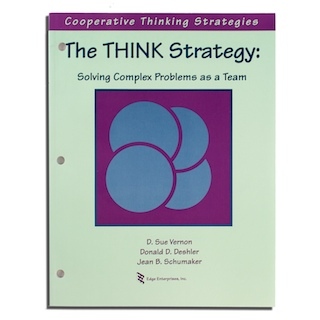 The THINK Strategy program can be used to teach students to solve a problem cooperatively. 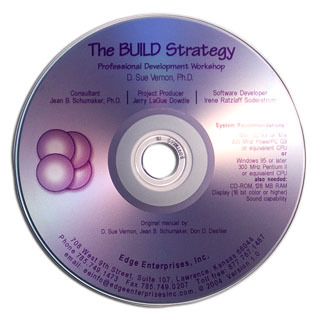 The build Strategy program can be used to teach students to resolve controversial issues cooperatively. The instructional format of each book is both teacher and student friendly. Several lessons are included in each book. Every lesson appears both as a one-page summary, which can be copied for easy reference, and as a detailed step-by-step set of instructions. All lessons begin with an “advance organizer” or statement that lets students know what they are about to learn. This is followed by a review of previously learned concepts or skills, new information to be learned about a new skill, a demonstration of the new skill, and an activity in which students can practice the new skill. Lessons conclude with a summary of what has been learned and a brief look at the next lesson. Finally, ideas for extending the instruction appear in every lesson. All lessons are accompanied with student materials and activity sheets that can be copied by instructors and used by the students. Although the programs have been designed primarily for elementary and middle school students, they have been successfully adapted for high school and college students, as well as adults. 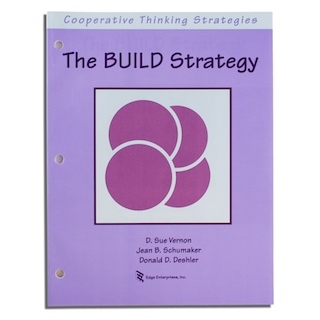 Professional development programs have been created for three of the Cooperative Thinking Strategy programs. 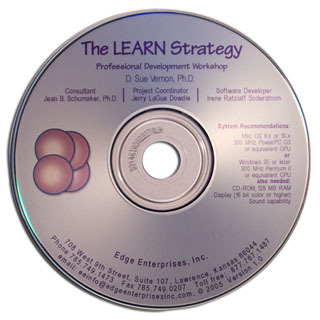 The professional development instruction is provided on a CD, so that instructors can pop the CD into their computers wherever and whenever is convenient to learn about one of the programs. Each CD tells about and demonstrates through the use of narration and videoclips how teachers are to teach each of the lessons in the program.